The Etac thick handle cutlery are designed primarily for people with joint problems. The cutlery is gentle on joints and relieves strain on fingers. This thick handled cutlery is part of a range of cutlery suitable for people with limited strength and mobility in their hands or arms. The handles permit a number of different kinds of grip and sit securely in the hand. The thick handles are designed primarily for people with joint problems. 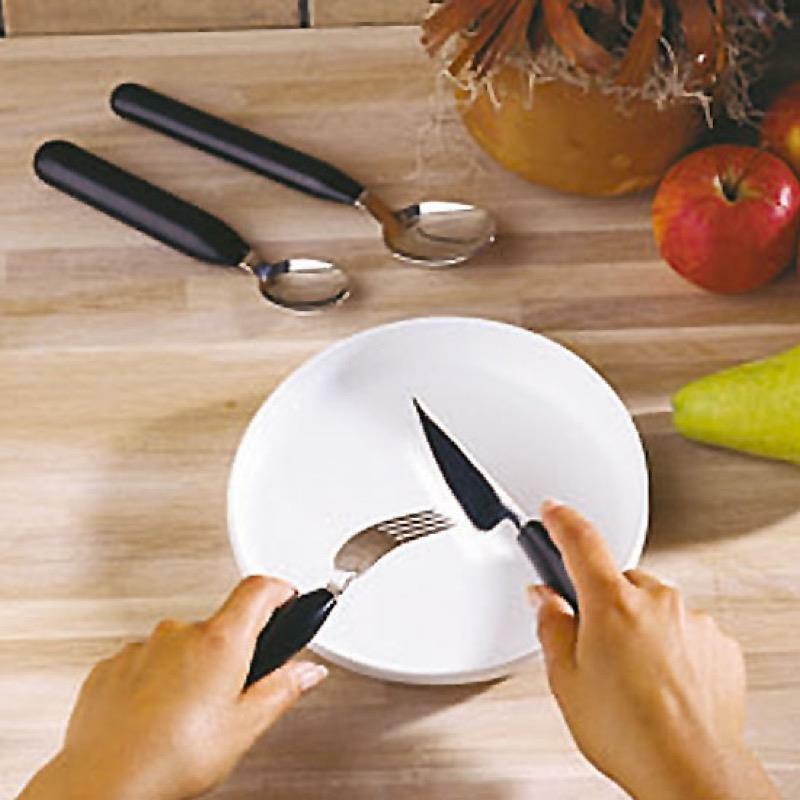 The cutlery is gentle on joints and relieves strain on fingers. All products are dishwasher safe.